Group Of Hikers On A Mountain. Woman Helping Her Friend To Climb A Rock. Young People On Mountain Hike At Sunset. 免版權照片，圖片，畫像及圖片庫. Image 71836814. 版權商用圖片 - Group of hikers on a mountain. Woman helping her friend to climb a rock. Young people on mountain hike at sunset. Group of hikers on a mountain. Woman helping her friend to climb a rock. 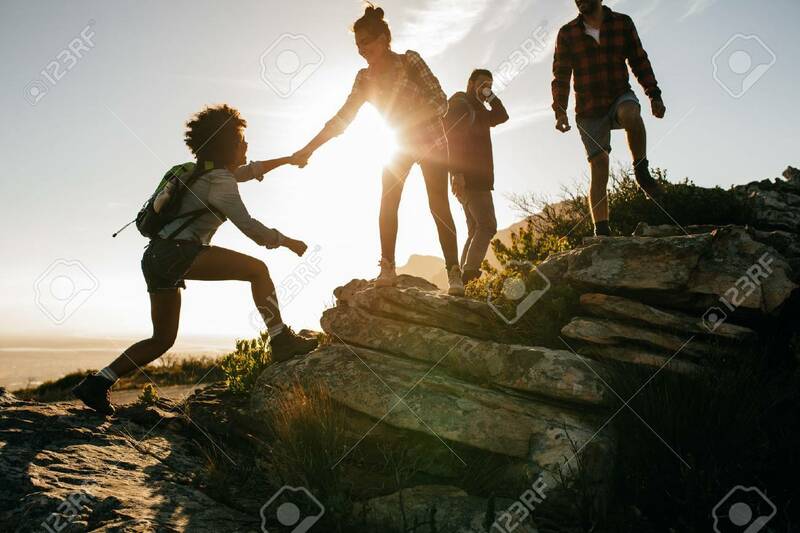 Young people on mountain hike at sunset.